Costa, Europe’s Number One Cruise Line, laid the keel for the thirteenth ship in its fleet late last week at Fincantieri’s Marghera shipyard. Due for delivery in Spring 2009, the Costa Luminosa will be 92,700-tons, 292 meters long and offer a double occupancy of 2,260. The ship will boast a new design concept combining the very best of the brand including wellness, entertainment, food and wine, exclusive itineraries, and fine art. In addition, it will feature the highest number of veranda accommodations (68%) in the fleet. In particular, 772 of 1,130 cabins will be in this category, making the ship especially well suited for scenic itineraries. Onboard, the ship will showcase the latest innovations from Costa, including the Samsara Spa, which is one of the largest wellness centers at sea, complete with accommodations featuring direct access to the spa. It will also feature a pool deck with a retractable magrodome extending over two pools and a Grand Prix race car driving simulator. In addition, the Costa Luminosa will feature an 18-hole championship golf course simulator. Costa will also build a sister ship to the Costa Luminosa, scheduled to enter service in March 2010. Both ships will be created at a total cost of over 800 million Euros. Costa’s fleet expansion program includes the addition of a third ship, the Costa Pacifica, which will leave the Genoa-Sestri Ponente yard in Spring 2009 along with the Costa Luminosa. By 2010, the Costa fleet will have 15 members, all flying the Italian flag, confirming Costa’s European leadership. The two new builds commissioned from Fincantieri’s Marghera shipyard also confirm Costa’s role as a major player in the economy of Veneto Friuli-Venezia Giulia. In addition to the 800 million Euro investment for the construction of the Costa Luminosa and her sister ship, in 2007 the Italian company’s ships have been making regular stopovers in Venice and Trieste, with more than 280,000 guest visits and generating income of 12 million Euros* for local allied industries and businesses. In 2007, there will be a total of 58 calls in Venice, the homeport for the Costa Mediterranea and Costa Serena, with 260,000 passenger movements (+4% compared to 2006), and equivalent to approximately 23% of all cruisers in the port of Venice. The estimated local revenue generated by Costa’s guests visiting Venice totals 11 million Euros. Next summer season will see the return of the Costa Serena’s seven-night cruises to Greece and Turkey, while the Costa Mediterranea will be replaced by an even larger ship, the Costa Fortuna (102,600-tons with a double occupancy of 2,720). The number of calls will increase to 66 with a substantial 27% rise in total guests to 330,000. The Costa Marina called at Trieste 19 times this year (+26% compared to 2006), with a total of 23,000 passenger movements (15% higher than 2006), generating income in excess of 1 million Euros for the city. A further increase is expected in 2008 as Trieste will become the homeport for the Costa Classica (53,000-tons with a double occupancy capacity of 1,308), bringing 37,000 Costa guests, a 60% increase. 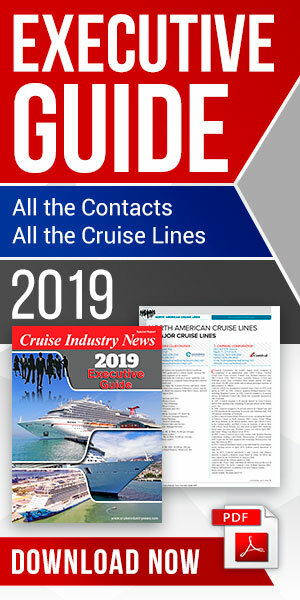 Costa, named “one of the top 10 cruise lines” by the readers of Condé Nast Traveler, offers an experience that is delightfully different in service and cuisine, in an atmosphere filled with love, laughter and la dolce vita. It’s called “Cruising Italian Style” and true to its heritage, no detail has been overlooked in bringing the beauty and hospitality of Italy to the sea. Cruising Italian Style…that’s Amore! The ships of Costa, Europe’s Number One Cruise Line, range in size from 30,000-tons to 114,500-tons, and provide an ambience that is distinctly Italian – from the progressive architecture and stylish design to the unforgettable cuisine and gracious hospitality. With twelve ships in service and three on order, Costa offers cruises that span the globe on itineraries of three nights and longer throughout the Caribbean, the Mediterranean, Northern Europe, South America, Transatlantic, Far East, Dubai; and at the end of 2007, the Indian Ocean.